It might be something you fear (how will I ever get anything done?!?). It might be something you eagerly anticipate (freedom to leave when I want to!). 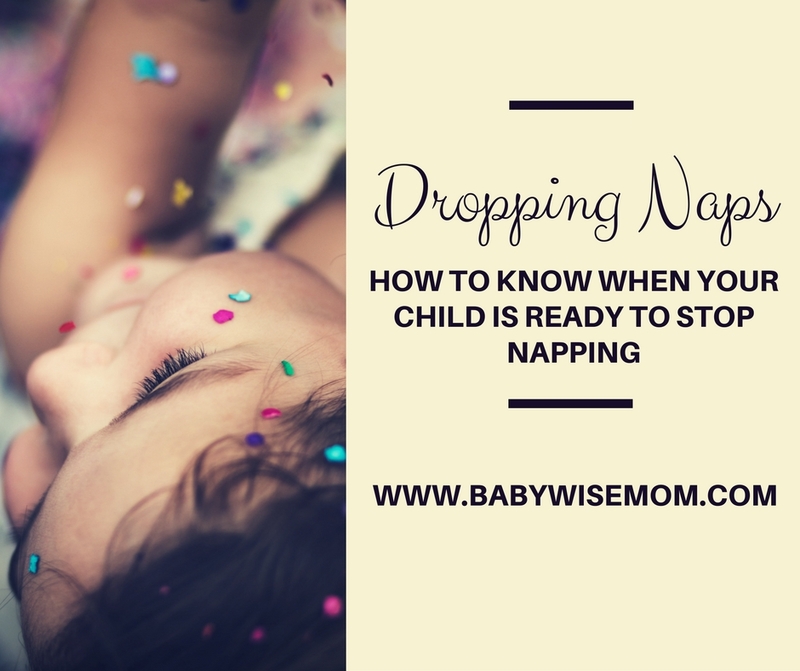 Ready or not, the day will come when your child will no longer need a nap each day. We all know it will come. The big question is when? What age? How do you know when your child is ready? Age: Age is a huge factor. Two year olds still need to have a nap each day. They might not sleep every day, and they very well might fight you on it, but nap should be a part of the normal routine. A two year old is not old enough to decide if sleep is best for him/her or not. Most three year olds should still have nap as their normal routine. A three year old will definitely not sleep each day, but still call it a nap and put her down. Do not stress when she doesn’t sleep. Age four is the most common age to be read to drop one nap a day. At age four, you might start cutting out nap if your child is ready. However. I strongly recommend rest time and not just dropping naps from the daily routine (see section below for more on this). the evening and the next day after skipping a nap? If your child is still able to be obedient and continue on with her normal disposition, then skipping nap works for her. If she becomes an emotional wreck, starts trying to annoy people on purpose, or starts disobeying you uncharacteristically, then you know she was not ready to be without a nap. Sleep Patterns: Another sign to watch is the sleep patterns. Does your child sleep at nap? If so, does your child sleep well at night? If naps seem to make it so your child doesn’t sleep well at night, take a log for a couple of weeks before you decide to take action. Actually write things down. You don’t want to think naps are interfering, be wrong, and drop the nap. That will lead to sleep and discipline troubles. If you do think naps are trouble after a couple of weeks, start with shortening the nap and see if that is enough. Sleep Needs: Different children have different total sleep needs. Some need the lower end of normal, while some need the higher end of normal. Among my children, I have a wide range. You might assume that a child with low sleep needs will be dropping the one nap a day earlier than those with high sleep needs. That might be true, but my two low sleep needs children still napped daily at age four. Sometimes the less sleep a child is getting at night, the more he will need a nap in the day. When your child is ready to drop that one nap and be nap-free, it is very wise to still have a rest time each day. In the very beginning of dropping this nap, your child slept most days and stayed awake some. As time went on, your child stayed awake most days and slept some. There will still be days a child who is no longer napping will need a nap. Those will be rough days if your child doesn’t have the opportunity to sleep. When you have rest time, your child is in bed or a location where sleep can happen if needed. The location should be private and free from distractions. This way, if the child is tired, she can have a nap that day. Rest time should be at the same time each day and in the same location as much as possible. Rest time is a great time to allow your child to look at a stack of books. Rest time should be for 30-60 minutes. Please remember that you can be flexible. When your child is ready to move to rest time, you might want to take off one afternoon to go do something out of the house, even though it is over rest time. This is absolutely okay! Just like your child could miss nap some days, your child can now miss rest time some days. Just make sure if you are home, rest time happens. Also make sure that your child doesn’t get to decide whether or not rest time happens. YOU are the parent and YOU decide. The day will come when your child is ready and able to drop to zero naps a day. 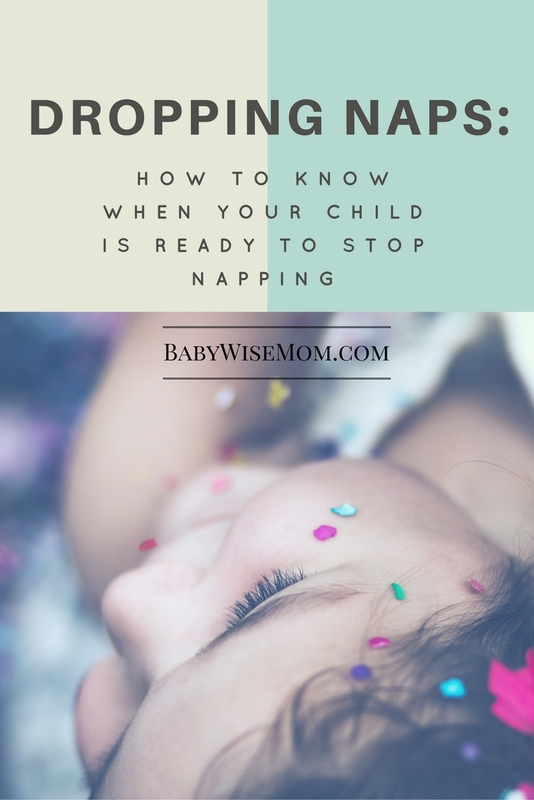 Be sure your child is actually ready to do so before you drop that nap. When you do drop it, continue on a rest time in the place of nap time so your child can still have a physical and mental break each day to recharge. Poll Results: AT WHAT AGE DID YOUR CHILD CONSISTENTLY MOVE TO REST TIME?